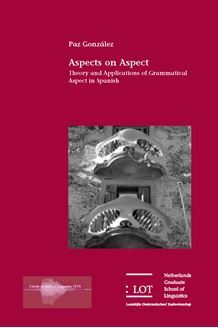 This thesis provides an overview of disciplines related to the grammatical phenomenon of aspect. There are several claims advocated in this thesis, according to the different disciplines dealt with in each chapter. Chapter 1 claims that intra-sentential semantic structure contains three potential levels of completion, one temporal, two aspectual. The two types of aspectual information are predicational aspect and grammatical aspect. Every language uses different strategies to create interaction between the available levels. Chapter 2 claims that predicational aspect does not influence the grammatical aspect intuitions of L1 speakers of Spanish. It is demonstrated that native speakers of Spanish decide which past tense form is appropriate according to the context in which the sentence is produced. Chapter 3 claims that, contrary to what was found in the intuitions of L1 speakers, predicational aspect interferes with the choice of grammatical aspect forms for Dutch L2 learners of Spanish. Finally, Chapter 4 claims that showing L2 learners the similarities between the Dutch and the Spanish tense systems and also the differences between the two aspectual notions (predicational and grammatical), will help L2 learners understand the distinction between the two Spanish past tenses. This study is of interest to theoreticians concerned with aspectual analysis and cross-linguistic parallelisms between Dutch and Spanish. Moreover, this thesis is relevant to L2 acquisitionists and L2 didacticians tackling the problem of learning and teaching aspect in L2 classrooms.